Encouraging children to read and providing them with the means to do so is an important part of ChildFunds work internationally, and an essential part of childhood development. Our colleagues in ChildFund India have enlisted a national hero to help promote reading there..
Last month, former Indian cricket team captain Anil Kumble helped launch a reading campaign with ChildFund India, presenting tote bags filled with books to children in Karnataka, a state in south-western India. 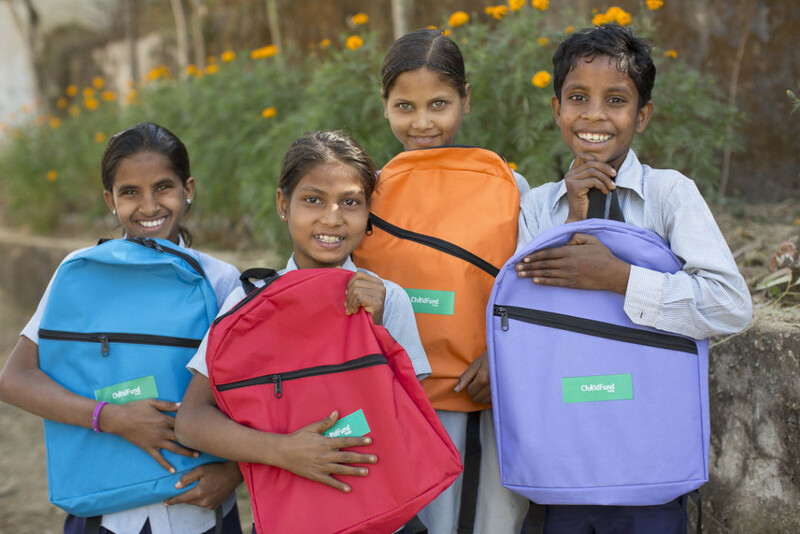 Each bag contained books appropriate for different ages, from 6 to 14, and the program aims to provide books to nearly 115,000 under-served students in 14 Indian states this year, with more to come in the next three years. ChildFund India also has plans to set up 30 community libraries throughout the country. “If you want to get more knowledge, it is important to read books,” Kumble said. “A culture of reading picked up at this age will continue forever.” The campaign focuses on providing access to literature, creating a supportive environment and removing barriers to reading. To address poor electricity in rural areas, families will receive solar-powered lamps with chargers that can also be used for cell phones and flash-lights. By giving children the opportunity to own books other than school textbooks, it is hoped the “Books, My Friends” program will inspire them to become lifelong readers for fun and enjoyment.